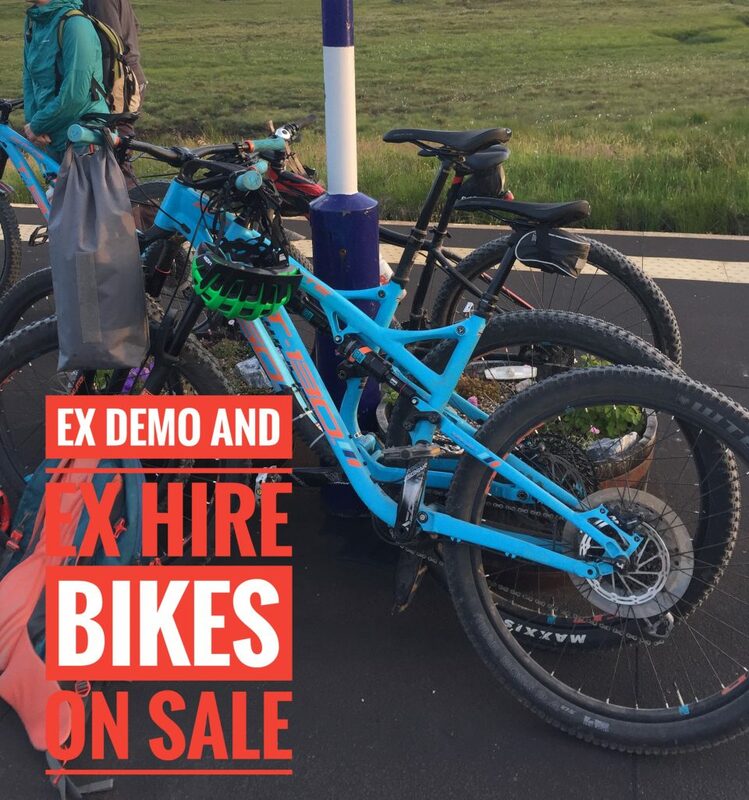 All ex hire bikes were new in 2018. They are great bikes designed for British weather from our favourite brands. Click the links to see more about each bike. 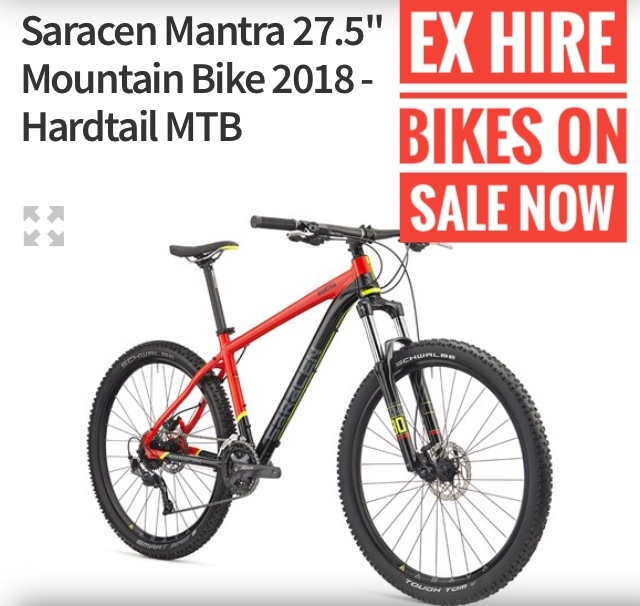 Saracen Mantras 2018 RRP £600 – Ex hire price £390. 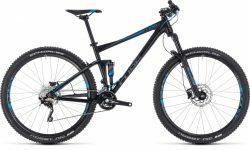 Lots of sizes available including some really small frames suitable for large kids..
Our bikes are well maintained all summer and leave our shop serviced and ready to ride. 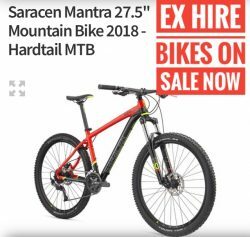 If your unsure book a test ride on any of these great bikes to see how well they ride. Give us a call on 01397 704008 or call in to the shop. We’re open 7 days.